The theme of hope that has defined the Millennium series thus far has shown me how wonderful and powerful hope can be, even when all odds are stacked against those empowered by it. 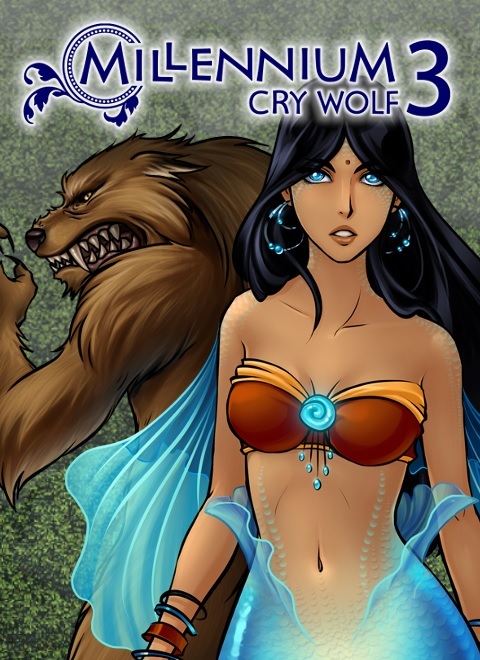 Millennium 3 – Cry Wolf focuses on one of the many strengths hope can impart; will. Since the beginning of this epic tale, our heroine Marine has had the will and determination to help anyone and everyone she can. It started with the will to help her village and the entire country’s population who are oppressed by the upper class of Mystrock Kingdom. While that hasn’t changed, Marine’s will to help others is so strong that she continues to go out of her way to lend a helping hand to the individuals she meets along her journey. Driven by her will and a pure heart, Marine has not once hesitated to lend help to another. Even when priorities and logic may conflict with her decisions, her will is an undoubtable inspiration. Millennium 3’s story unfolds similarly to its predecessors, in that we see individuals and their personal endeavors drive the story. To recap the overarching plot, Marine has set off into Mystrock to find 13 warriors and enact the Martial Law, allowing her to challenge and potentially overthrow the current, corrupt rule. For three games so far, we’ve seen Aldorlea Games implement a formula of Marine meeting new people, helping them with their problems, and in return they join her cause. 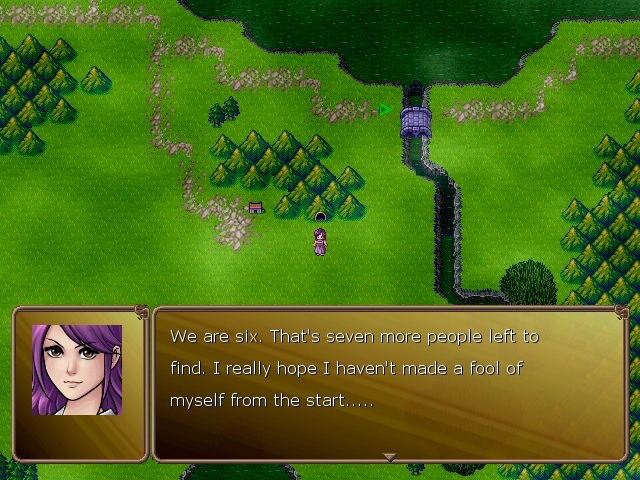 This method allows for the development of game specific plots, as each new character potentially brings new stories to tell. Here we again see this, as personal struggles manage to weave together into a storyline for this episode. In Millennium 3, Marine’s attention is very quickly diverted to an orc threat, which leads us to reuniting with Jack and rescuing James, both of whom we met during a story quest from the first game. Then we are introduced to Salome and steadily learn of each of their predicaments. While the new plot points add significant depth and lend themselves to some excellent character development, how they flow into one another to form this chapter’s story is a bit erratic. For one, in Millennium 3 we get tangled up in different conflicts one after another in quick succession. I have mixed feelings with this approach, because on one hand, we see new twists, new problems, and new life pumped into the world of Myst. Much of it serves to develop personalities, as well as some world building. On the other hand, it forces the overarching plot to take a back seat, since, if it takes Marine away from her goal, it takes us with her. At this time in the series, I did expect more focus on her main goal, or at the very least, seeing more emerging details on the opposition as it relates to the encompassing plot. 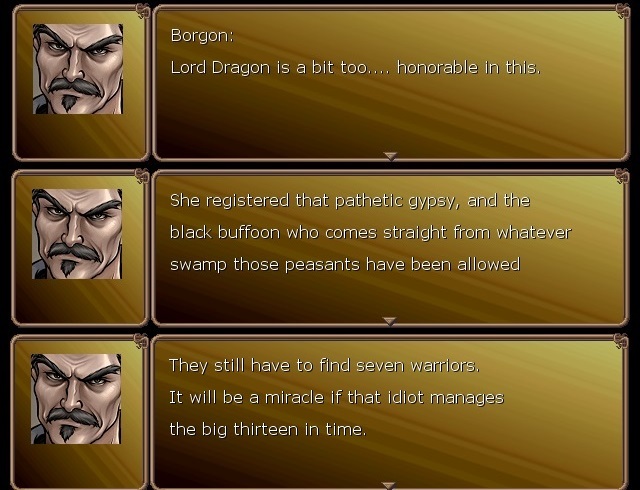 In the beginning parts of the game, we do in fact see the scheming of Borgon and his cohorts, but that ends as soon as it begins. Then we are led down a series of events that becomes pretty wild. Without giving too much away, we go from orcs to witches with a dragon thrown in because, you know, why not? Now, it’s hardly terrible, in fact this style of progress has its moments of brilliance and splendor. I especially like Salome’s introduction, as her personal struggles and circumstances for making certain decisions are very realistic and deep. Also, the entire end game is absolutely fantastic, as the writing makes palpable all of the stress, terror, and hopelessness the party is experiencing. There is a wealth of quality here, it’s just that I wish this quality had been better shared between the game’s storylines and those of the whole series. As for the character development, there are some great personalities that stand out in this episode. Jack and James bring a wealth of humor to the group, showing us that there is more to these individuals than just their problems. They pump needed energy into an increasingly desperate and depressing situation. I do wish we had seen a hint of this in Millennium 1 though, as their strong personalities are sprung on you. I also love Merline, Marine’s little sister, whose innocence, youth, cheerfulness, and cuteness help bring out Marine’s similar qualities. She also nicely serves as that energetic, jovial part of Marine’s consciousness that Jeanne the fairy previously personified. 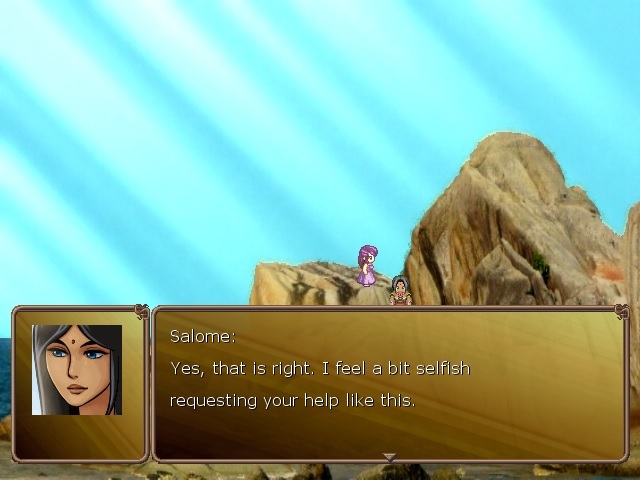 Again, I also love Salome’s character, as her loss and despair cause her to take drastic action. Depression is a struggle, a curse, and a poison wrapped into one and is something that can cause us to think or do some of the saddest things imaginable. And so I applaud Aldorlea for not shying away from such realistic topics and choosing to incorporate them into their characters. Yet, with these new additions bringing new life and depth, there are some setbacks to development as well. 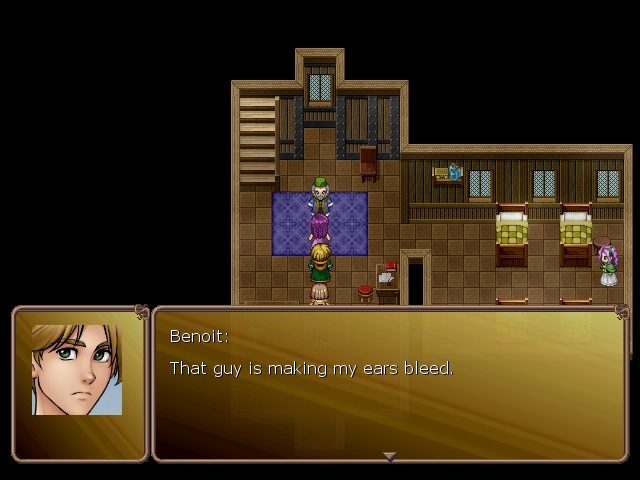 For example, it seems Benoit takes a step backwards from the last game, as he’s mirroring his personality from Millennium 1 and most of 2. The strength, support, and resolve he had finally shown is nowhere to be seen here. Others, such as Abu, Jezabel, and Karine didn’t see much more development either. The opportunities are there, but it feels as if the writers are ready to move on to the next set of newcomers, which is unfortunate. Having said that, if I’m feeling this strongly toward these characters, they must have done something right. On to gameplay, Millennium 3 moves in the right direction, keeping what’s worked before and combining the strengths of the previous games. 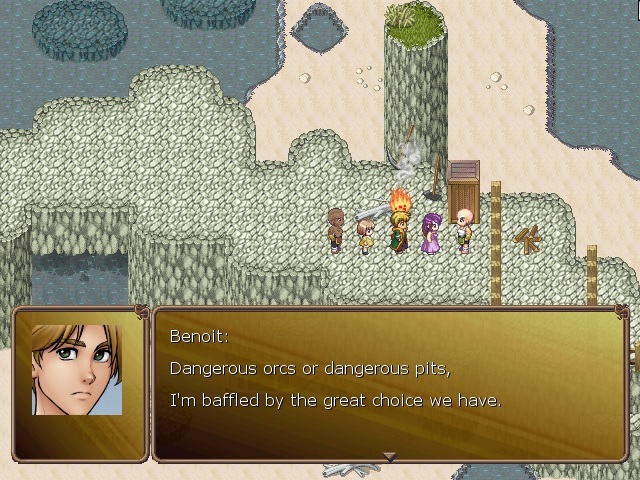 The RPG style gameplay, with its turn-based combat and traditional leveling mechanics all make a return and are still as solid as ever. The promotion system also makes a return, allowing characters to change classes and reap the benefits. Some classes require special items to unlock, but are almost always worth the extra effort, as the class improvements to every level up afterwards are apparent. I did notice an increase in difficulty this time around, so again, the class change stat boosts and improved level ups will go further than they have before. The quest system also makes a return and sees a notable improvement in the quality of the quests themselves. While several are still based around item collection or defeating certain foes, a number of them provide their own narrative and depth, which is both unexpected and very much appreciated. These few quests are a welcome break from the main story while never becoming a distraction. I hope to see more quests of this style in the future. The point-and-click search mechanic also returns and sees some improvement. When searching a screen with your mouse, a change in the pointer icon indicates a hidden secret. These secrets range from common items to rarer equipment to Secret Rooms that hold stat boosting Myst Orbs and other treasures, such as cash and the occasional weapon or skill. The benefit of Millennium 1’s search mechanic was that the Secret Rooms usually had a corresponding icon change. For reasons unknown, this was removed in Millennium 2, making the discovery of Secret Rooms even more difficult. Fortunately, Millennium 3 sees a return to form, providing an icon change for most Secret Rooms. Millennium 2 did utilize visual cues better, allowing the discovery of secrets to be more predictable and intuitive. This, too, has been adopted into Millennium 3, making the entire point-and-click experience that much more functional and enjoyable. There is still room for improvement, as not all secrets or Rooms have a corresponding icon change, but it’s definitely a significant improvement and the most noteworthy version of this mechanic. Although gameplay sees several improvements, there are still drawbacks. The most egregious of problems are two bugs that can negatively affect play. Aldorlea manages to produce consistently high quality products, from what I’ve personally seen, so this is very much out of their norm. The first bug occurs right at the start when you import Millennium 2 save data. The bug causes the quest menu screen to improperly display quests. This is easily resolved by closing the game and starting over by importing your data again, as the bug occurs infrequently. The second bug, however, is far worse. Salome has the ability to temporarily transform herself into a more powerful form. Once time runs out, she cannot transform again without resting at a town Inn. There is a weapon that makes the transformation permanent. The bug causes her to switch weapons after an enemy encounter, so you may think she still has this special weapon equipped when, in fact, she does not. So, it becomes necessary to check after every battle to see whether she still has the right weapon, or you may be caught with her dealing far less damage, or worse, transforming back into her weaker form at a very inopportune time. It’s a pain to deal with, but it’s not game breaking. I find that it happens after every battle on the Forbidden Zone world map, as well as the Main Corridor map in the Castle of Malice. Sometimes, it can be resolved by closing the game and loading again, but the possibility of the bug occurring is still there, which I find slows, but not breaks, my play flow. However, this can all be avoided by purchasing the game straight from Aldorlea’s website, as research suggests that only the Steam version is impacted by these bugs. 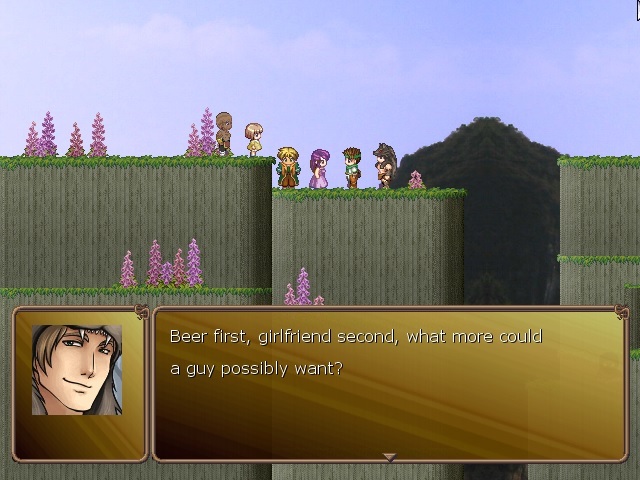 Besides build quality issues, the combat remains a far too familiar endeavor, not adding anything innovative to the pre-built mechanic that comes with RPG Maker. Again, there is the hint of an elemental system, but no explanation or improvements are given. The promotion system also lacks explanation, so players are mostly just guessing what each class grants. Typically though, if a class becomes available because of a special item, that’s the class you want. Finally, the point-and-click parts of the game still have their handful of secrets that are temper-trying and near impossible to find without some sort of guide. And again, Aldorlea makes the decision to sell an official guide, rather than making the system more gamer friendly. Less frustration and more intuitiveness would mean better play flow and more fun. Even though none of the secrets are required to finish the game, it still irks me that guides are necessary to find every secret the game offers. I have to say my favorite element of these games has been their aesthetic beauty and Millennium 3 does not disappoint, as this episode is as beautiful to look at and listen to as its predecessors. I still love the portrait work for our heroes which continues to bring vividness that accentuates their natures. Our new heroes receive that same treatment, with stylizing that matches their personalities. The cockiness of Jack and James are nicely portrayed in their art, as well as the serenity of Salome’s demeanor. 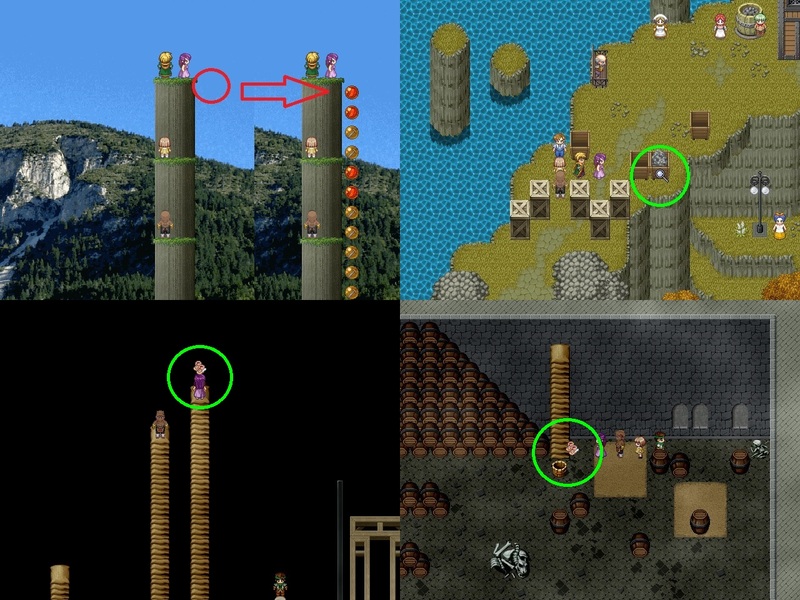 The sprite work and tilesets, although familiar at this point, are still as wonderfully crafted and implemented as before. I would like to have seen alterations to the portraits, though, as only Marine sees a change to her artwork late in the game. I’m not asking for complete remodels, but just additions or alterations to show that the journey or their training is changing them in some ways. I also noticed that some real-life landscape photos are used as backgrounds for outdoor locations. An interesting decision, and a bit humorous at times, they don’t deter from the artistic beauty, but they don’t exactly add anything either. As for the score, the game sounds just as good as previous chapters. My only complaints are that I feel the new tracks were too few and didn’t stand out as strongly against the now familiar songs I’ve come to love. I expected similar quality between the brilliance of past tracks and the new ones, but they just weren’t distinct enough to hold their own. Despite this, the game is still an absolute joy to experience both audibly and visually. Millennium 3 still has its flaws, but Aldorlea successfully produced a game that I would call an overall improvement compared to its predecessors. I’m giving the Aldorlea version a 3.5 out of 5 and I would rate the Steam version 3 out 5 due to those two glaring bugs. Although the plot this time around gets a bit wayward, it’s no less deep, emotional, and thrilling. 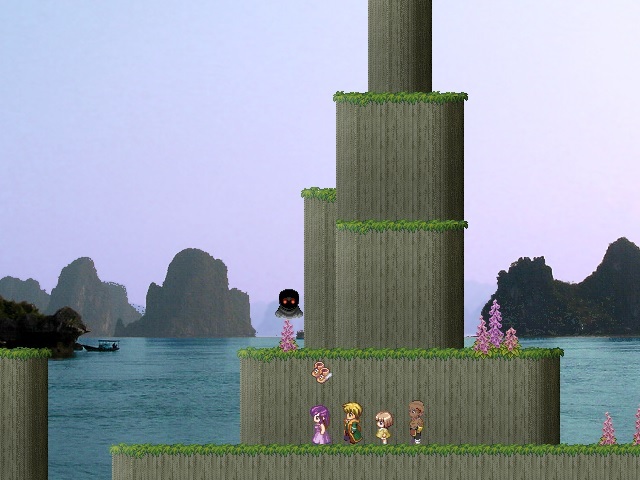 The game is as fun as ever and packed with plenty to do, taking around 20 hours to complete. Strong enough to stand on its own, Millennium 3 is a blast and a fantastic addition to this epic tale.